Have you tried to call a plumber or electrician lately? How about a carpenter? Nationwide, there’s a shortage of skilled tradespeople. According to a 2016 industry-wide survey released by the Associated General Contractors of America, two-thirds of construction firms reported having a hard time filling hourly craft positions that represent the bulk of the construction workforce. Association officials report that to cope, many firms are changing the way they pay and operate. Many firms also warned that the labor shortages could undermine broader economic growth, and they called for new workforce measures to improve recruiting and training of craft workers. In Rutland, where the population is shrinking and aging — and there’s significant demand from local manufacturers — the shortage of skilled tradespeople is especially pronounced. 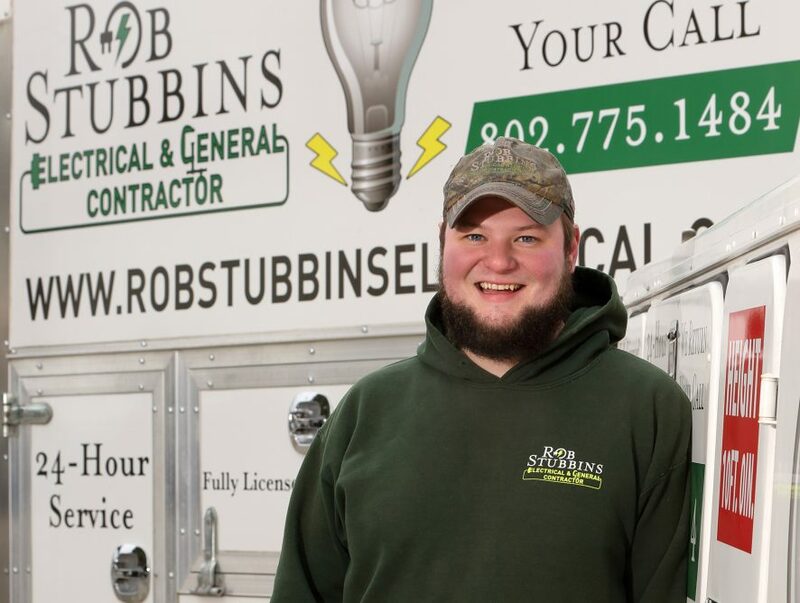 Robbie Stubbins heads a contracting business his father started in Rutland almost 20 years ago. Today, Stubbins Electric has grown to include 30 employees, and handles residential, commercial and solar installations. Stubbins says the company could be even larger if he could just find more quality workers. “We can’t bid the amount of work that we’d like to bid or that’s out there on the commercial side because there’s just not enough people to be able to handle that work,” he said. Rob Stubbins Solar performs installation of large scale commercial solar fields and commercial rooftop arrays. We cover all of Central Vermont.